With no call charges you can chat amongst yourselves constantly if you want - passengers can talk to each other, multi car quizes and games are easy and the sheer entertainment value of being in constant and easy direct contact with your friends can be worth having a cb for alone! Unlike many suppliers, our customer service does not end as soon as you have purchased ! You can either start with one of our Package Deals & Starter Packs or give us a call... we can discuss your situation, vehicle, wants and dislikes and will TAILOR MAKE a system for you, so you get it right first time. Please call us to discuss - our help and advice is always free. In this section of the site, dedicated to Motorhome and Motorcaravan owners, we look at CB Radio and the licence-free PMR446 walkie talkies as ways of having effective communication with those around you. 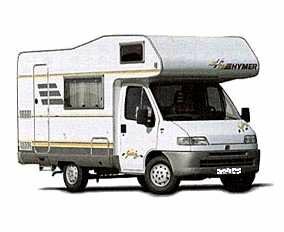 (We also have a similar advice section as the Motorhome pages, but written for Caravan owners, concentrating on fitting CB into more conventional cars and vans.